A long-time Hong Kong resident, Lyndsay was a keen horse rider growing up and has always enjoyed keeping fit. A riding accident prompted her to take up Pilates as a means of rehabilitation, and she loved it so much she undertood certification with PhysicalMind and Ron Fletcher. Lyndsay’s wonderful training incorporates Fletcher’s unique Towelwork, and she brings fluidity and dynamic energy to all of her sessions. 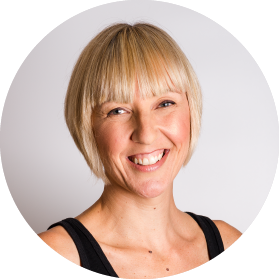 A Pilates instructor for more than five years, Lyndsay is the Ron Fletcher Teacher Training Facilitator for Hong Kong, a personal trainer and fitball trainer.